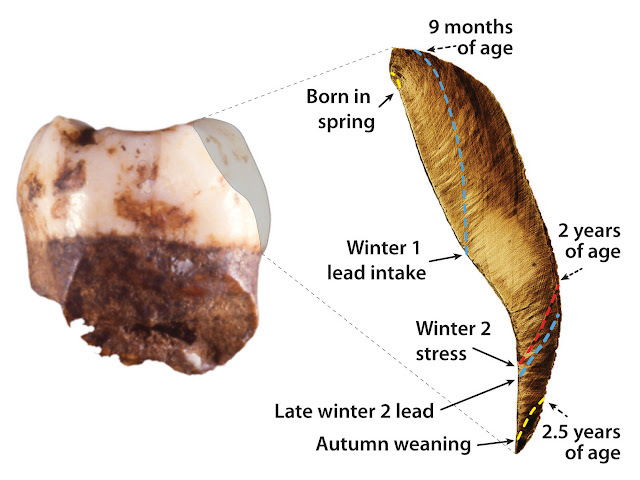 This study is the first to report lead exposure in Neanderthal and is the first to use teeth to reconstruct climate during and timing of key developmental events including weaning and nursing duration— key determinants of population growth. 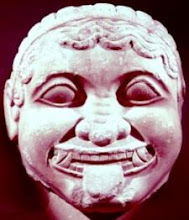 The international research team of biological anthropologists, archaeologists, earth scientists, and environmental exposure experts measured barium, lead and oxygen in the teeth for evidence of nursing, weaning, chemical exposure, and climate variations across the growth rings in the teeth. Elemental analysis of the teeth revealed short-term exposure to lead during cooler seasons, possibly from ingestion of contaminated food or water, or inhalation from fires containing lead. During fetal and childhood development, a new tooth layer is formed every day. As each of these 'growth rings' forms, some of the many chemicals circulating in the body are captured in each layer, which provides a chronological record of exposure. The research team used lasers to sample these layers and reconstruct the past exposures along incremental markings, similar to using growth rings on a tree to determine the tree's growth history. 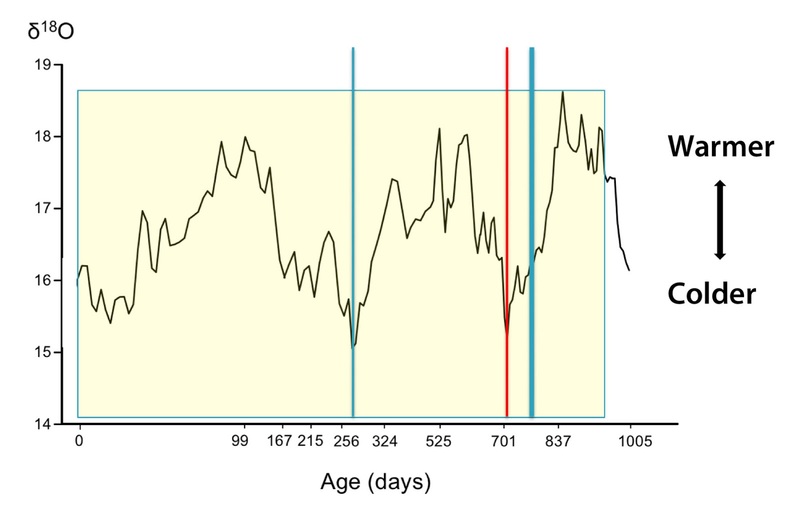 This evidence allowed the team to relate the individuals' development to ancient seasons, revealing that one Neanderthal was born in the spring, and that both Neanderthal children were more likely to be sick during colder periods. The findings are consistent with mammals' pattern of bearing offspring during periods of increased food availability. 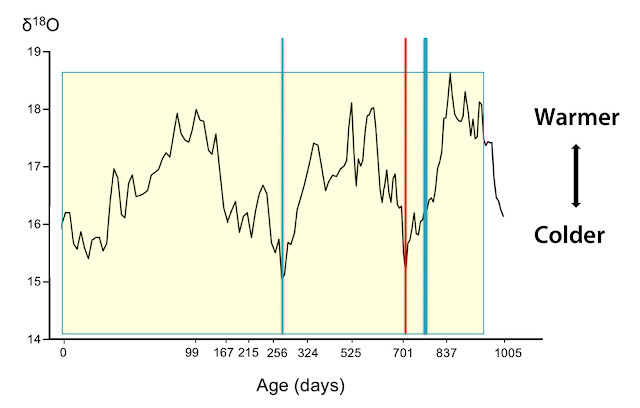 The nursing duration of 2.5 years in one individual is similar to the average age of weaning in preindustrial human populations. The researchers note they can't make broad generalizations about Neanderthals due to the small study size, but that their research methods offer a new approach to answering questions about long extinct species. "Traditionally, people thought lead exposure occurred in populations only after industrialization, but these results show it happened prehistorically, before lead had been widely released into the environment," said one of the study's lead authors, Christine Austin, Ph.D., Assistant Professor in the Department of Environmental Medicine and Public Health at the Icahn School of Medicine at Mount Sinai. 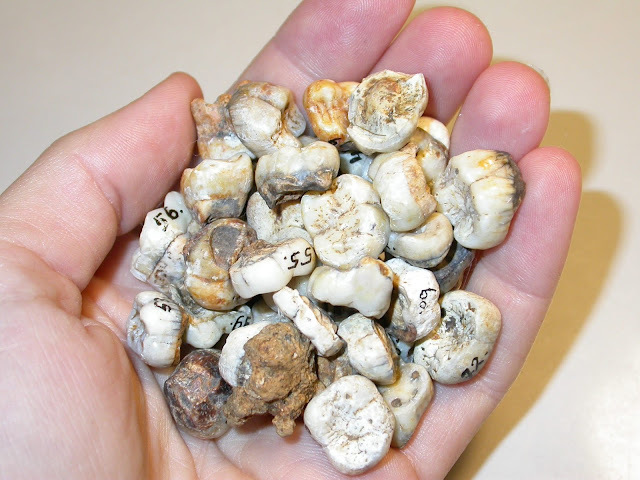 "Our team plans to analyze more teeth from our ancestors and investigate how lead exposures may have affected their health and how that may relate to how our bodies respond to lead today." "Dietary patterns in our early life have far reaching consequences for our health, and by understanding how breastfeeding evolved we can help guide the current population on what is good breastfeeding practice," said Manish Arora Ph.D., BDS, MPH, Professor and Vice Chairman Department of Environmental Medicine and Public Health at the Icahn School of Medicine. "Our research team is working on applying these techniques in contemporary populations to study how breastfeeding alters health trajectories including those of neurodevelopment, cardiac health and other high priority health outcomes." 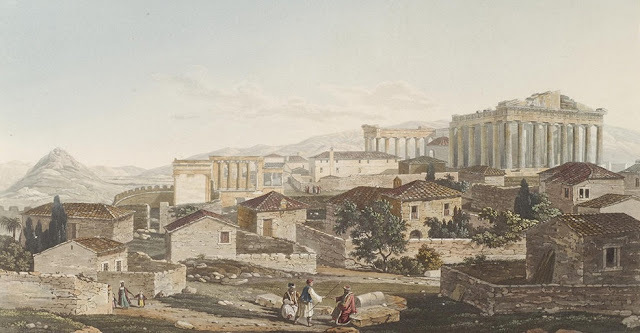 "This study reports a major breakthrough in the reconstruction of ancient climates, a significant factor in human evolution, as temperature and precipitation cycles influenced the landscapes and food resources our ancestors relied on," said the study's lead author Tanya Smith, Ph.D., Associate Professor at Griffith University. The study has been published in Science Advances.